Class Summary: In this course students will explore the bright world of light and color! They will learn how the human eye is able to perceive various colors in the presence of white light. Students will also participate in several experiments and activities that teach them about lighting and color concepts like chemiluminescence and fluorescence. Towards the end of the course they will get to conduct an experiment in which they learn how properties in money can be easily detected by light. 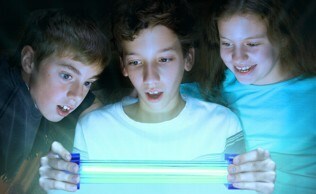 Educational Value: Ever wonder why the only way to see fluorescence in an object is to shine a black light on it? 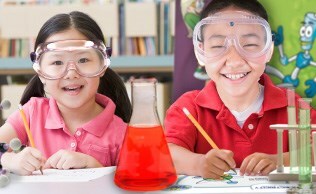 Students will learn the answer behind this scientific mystery as well as several others. This course teaches them all about the luminescent properties of both natural and synthetic materials. Students will learn the history of fluorescent lighting, as well as the chemical concept of luminescence.